DASSAN provides front-line support and advocacy services to asylum seekers in the Northern Territory. Our service is designed to complement and address gaps in existing funded services. The work of the advocacy team is to provide assistance for people seeking asylum so that they can achieve successful settlement and can integrate as much as possible into the community. Temporary protection, currently the best possible outcome for people seeking asylum, can be a hindrance to settlement on both a psychological and practical level. With a paid Coordinator and a team of trained advocacy volunteers, we respond promptly to every request for help we receive. We also provide support and assistance to people in detention elsewhere in Australia, on Christmas Island, and in offshore centres. Want to become a DASSAN advocate? If you have a professional background in the community sector, health, mental health, case management, law or other relevant areas, you may be interested in becoming a DASSAN advocate. You will attend monthly team meetings, and will be offered a range of training opportunities to develop your skills. New DASSAN advocates will be trained and then paired with a ‘buddy’ for their first meeting, or until they are comfortable. Targeted training sessions are run throughout the year. The Coordinator will provide you with information (referrals) about people who need assistance, whom you will then visit to ascertain their advocacy needs. You will write case notes recording each visit and liaise with the Coordinator, taking action as necessary to provide assistance. Regular one on one support sessions with the advocacy coordinator will guide you in the best course of action for each client. If you are interested in joining the team please send an email with an outline of your skills and experience to advocacy@dassan.org. 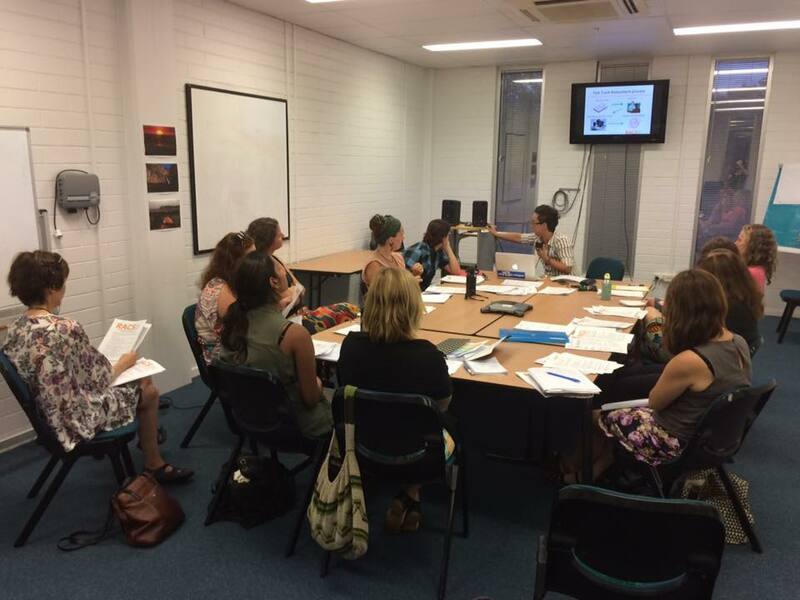 DASSAN advocates attend training from RACS lawyers via Skype.